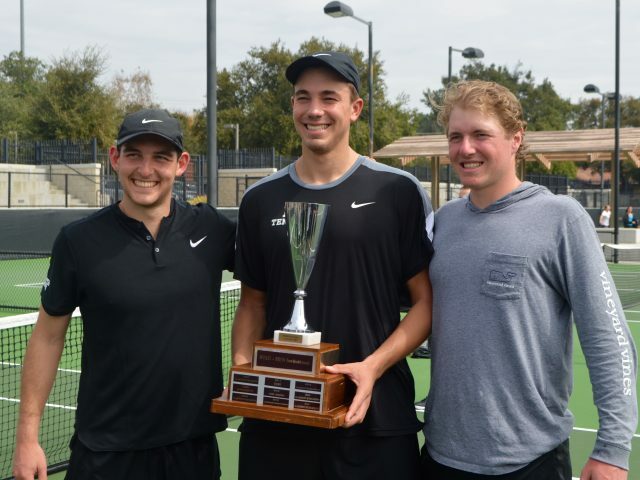 In the 2017-18 season, the men’s tennis team ranked third in the nation and placed second at the NCAA championship. 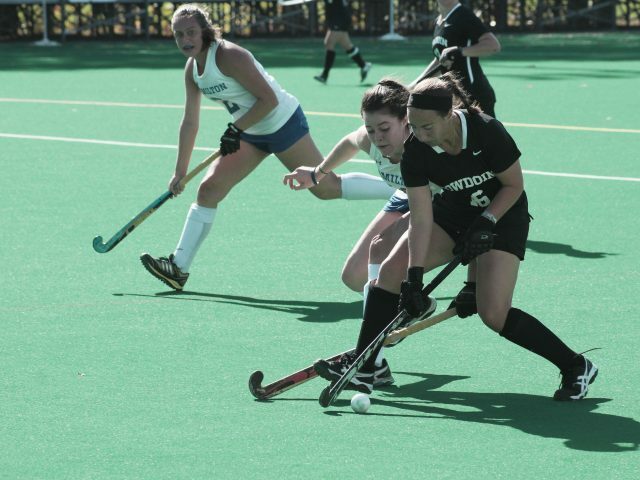 This year, the team’s roster gained two first years but graduated three standout players. 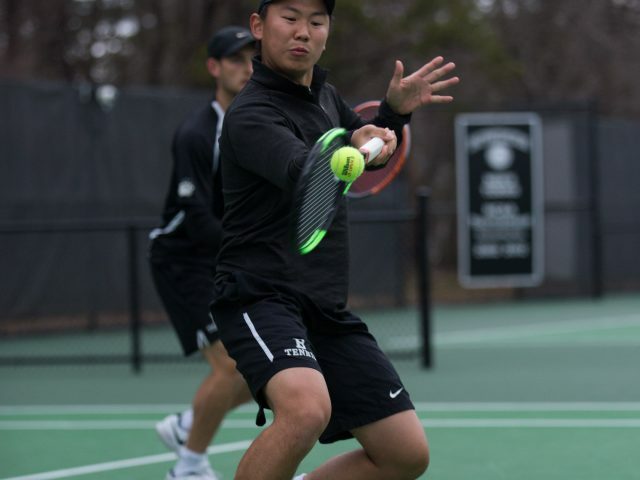 Nonetheless, captains Jerry Jiang ’19 and Grant Urken ’19 are enthusiastic about their prospects for the upcoming year. 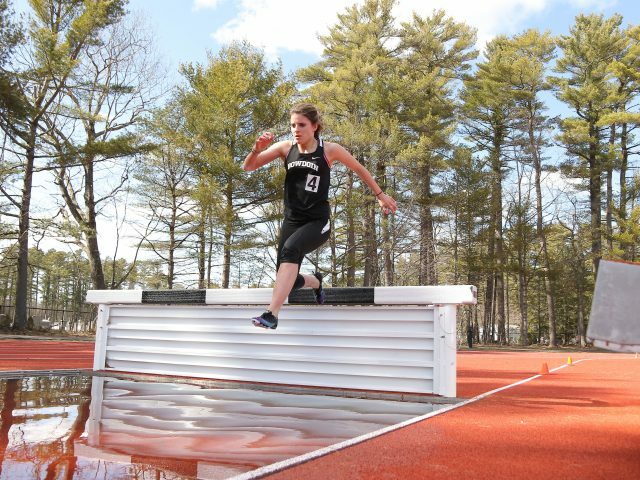 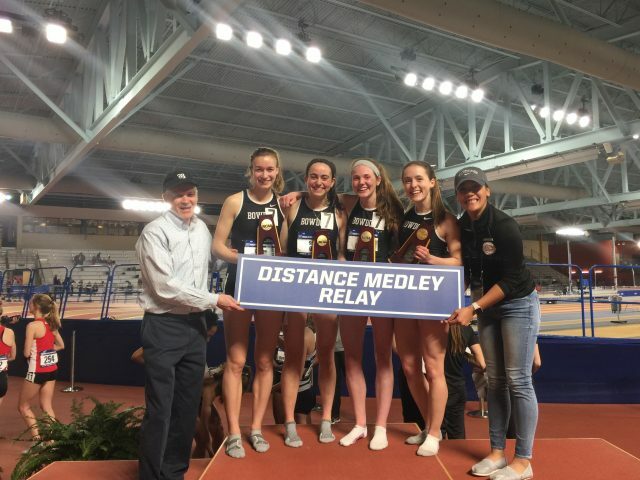 Throwing it down: The men’s and women’s track and field teams raced to fourth and sixth, respectively, in the NESCAC Championship on Saturday at Trinity. 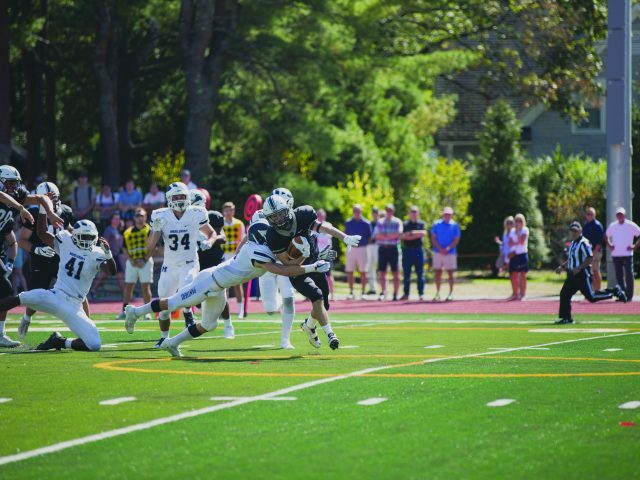 John Pietro ’18 had a spectacular performance, winning both the shot put and hammer throw. 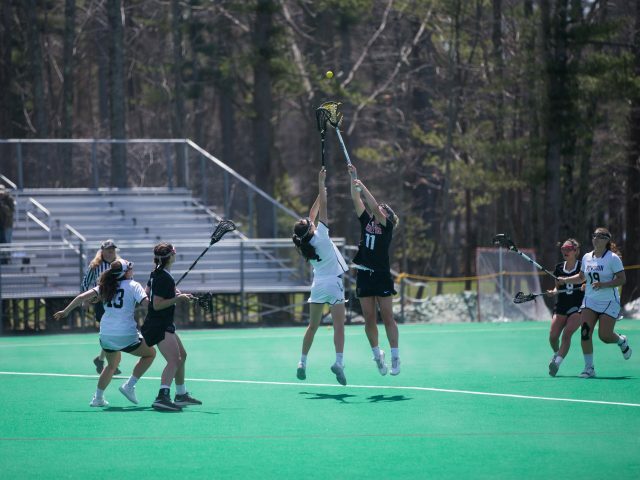 After two tough losses to Connecticut College and Amherst to start the season, the men’s lacrosse team has won seven games in a row, advancing its overall record to 7-2. 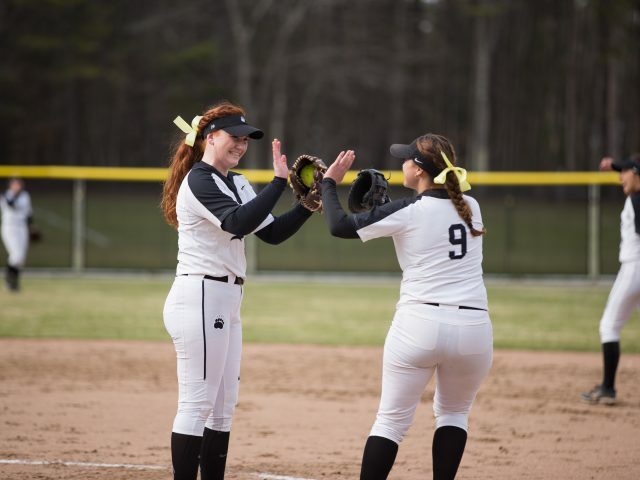 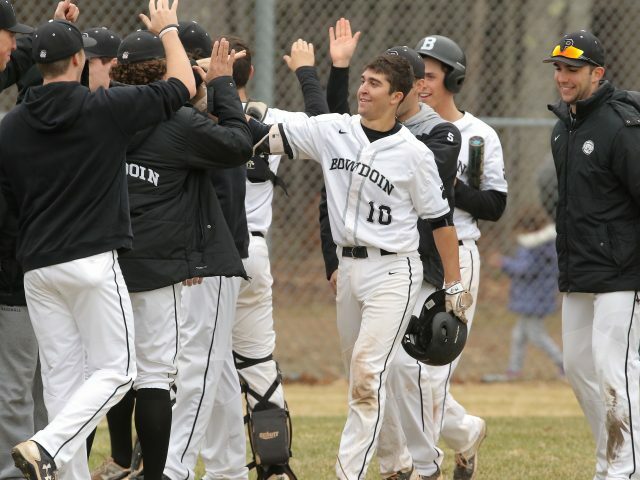 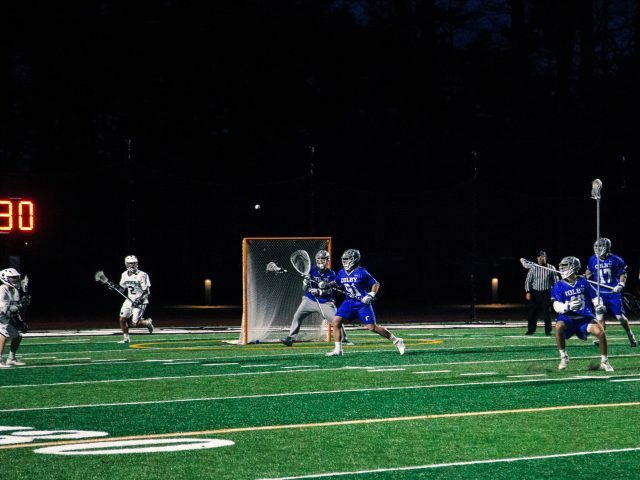 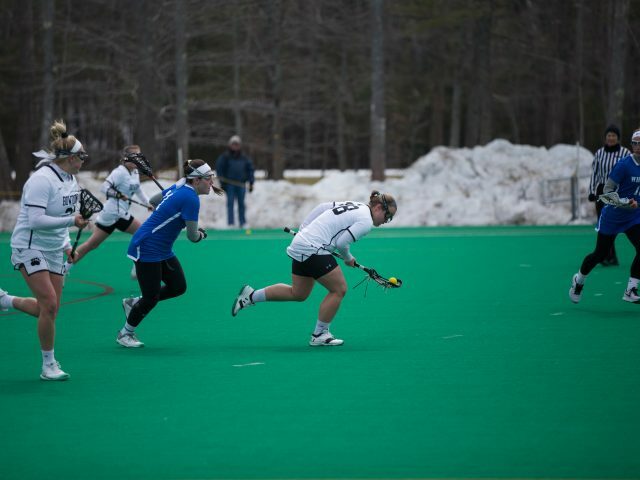 The team is 4-2 in the NESCAC after beating Trinity 10-7 on Saturday and Bates 14-13 this past Wednesday night. 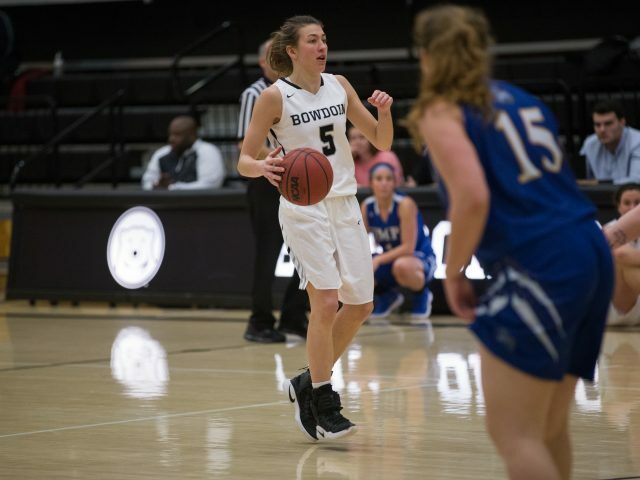 The Women’s Basketball Coaches Association (WBCA) named Kate Kerrigan ’18 the WBCA Division III Player of the Year after an exceptional season. 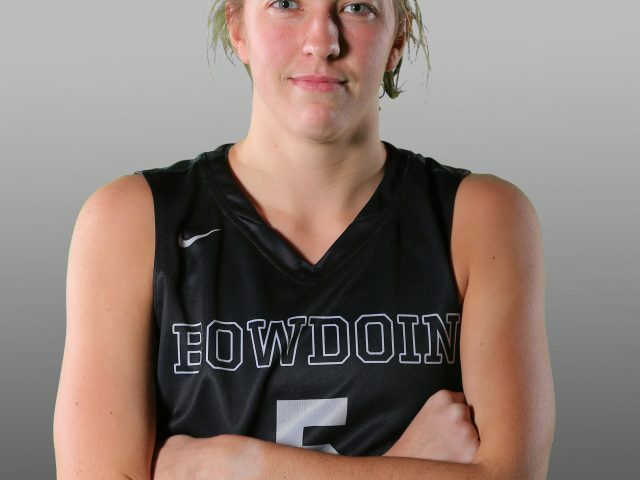 Kerrigan joins Eileen Flaherty ’07 as only the second Bowdoin player to receive this award. 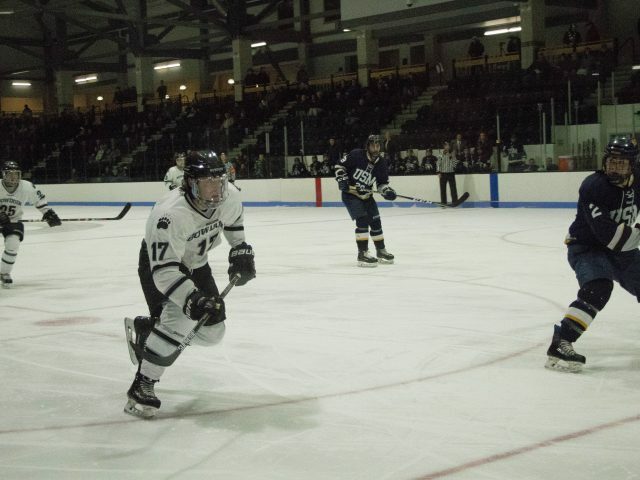 Men’s hockey had two exciting games this past weekend, coming back from a deficit on Saturday to beat Wesleyan, ranked top five in the NESCAC, 4-3, but losing to number one ranked team in the league Trinity College 4-3 in overtime on Sunday. 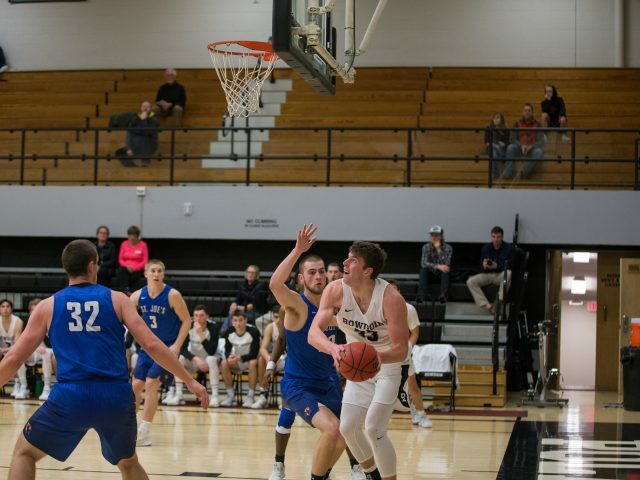 The men’s basketball team (15-8, NESCAC 4-6) has qualified for the NESCAC Championships after failing to make the tournament last year and will travel to face top-seeded Amherst (16-8, NESCAC 7-3) in the quarterfinals on February 17. 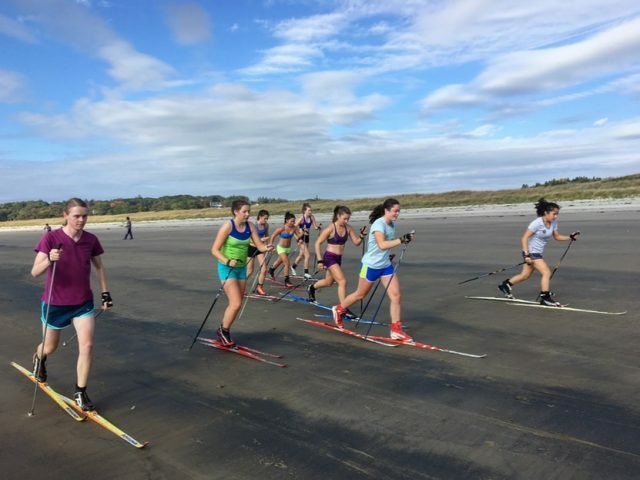 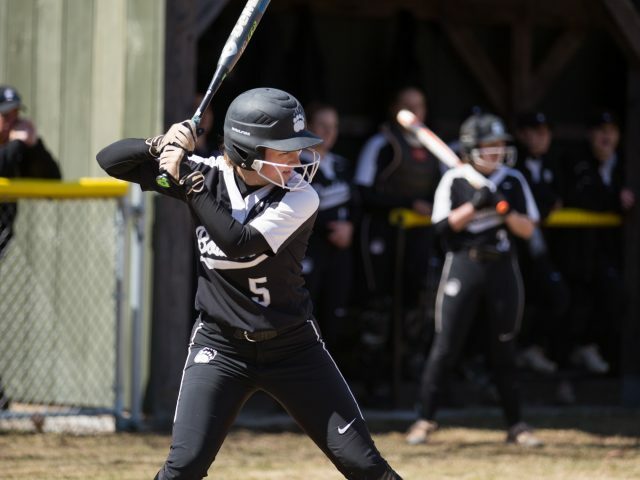 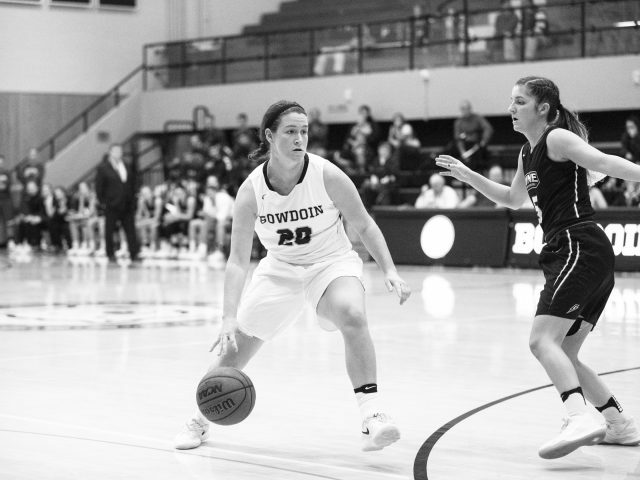 Last Sunday, Bowdoin hosted its annual Girls and Women in Sports Day in Farley Field House as part of a string of events happening around the country celebrating the 32nd annual National Girls and Women in Sports Day. 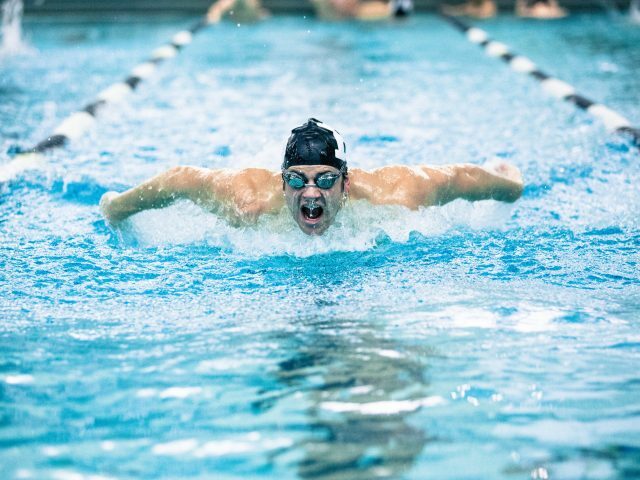 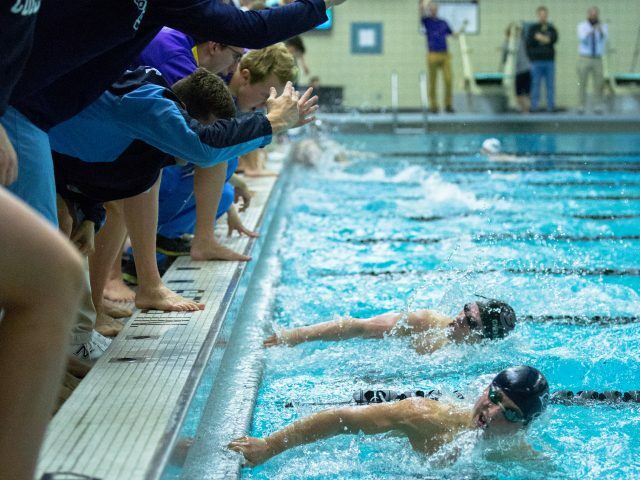 After an impressive victory by the men’s and women’s swimming and diving teams over the Colby swim teams this past Saturday, each is looking to succeed in the NESCAC Championship, which begins on February 16. 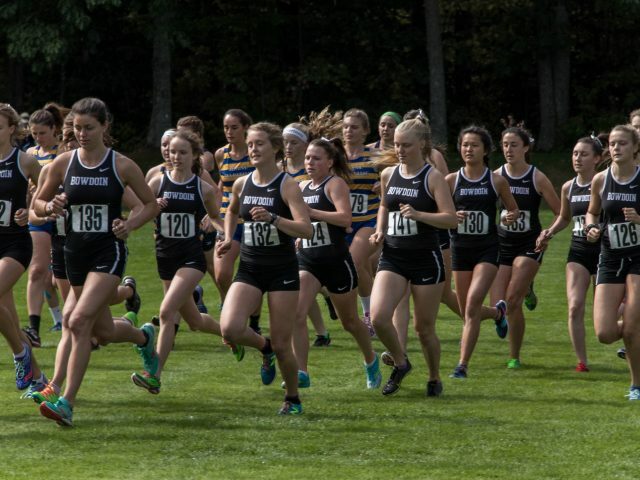 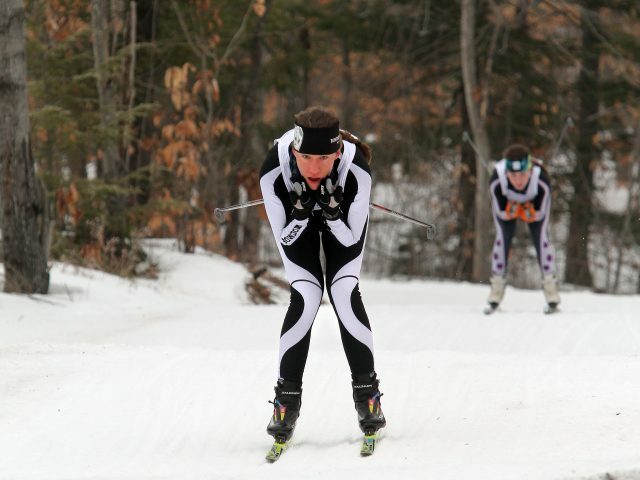 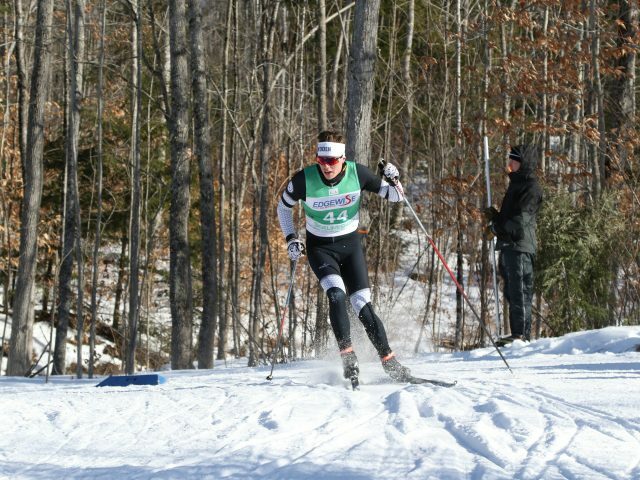 At Colby, the men’s team closed with a score of 197-79, and the women’s team came in at 204-64. 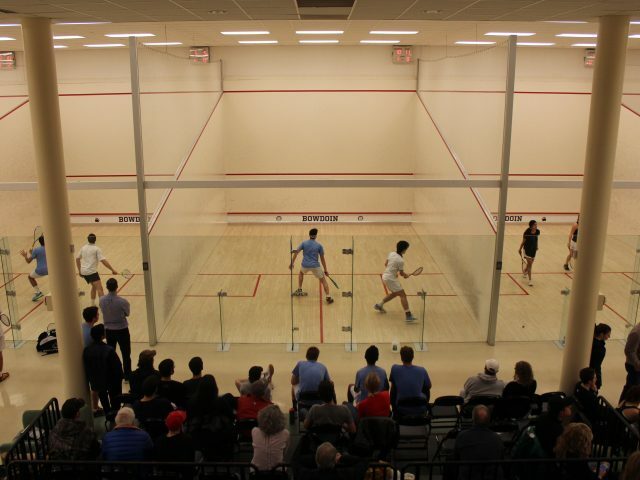 Today, both the men’s and women’s squash teams will compete in the NESCAC Championship held at Hamilton. 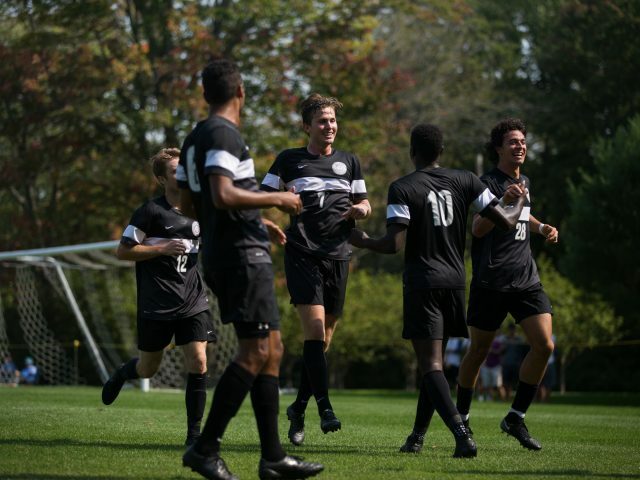 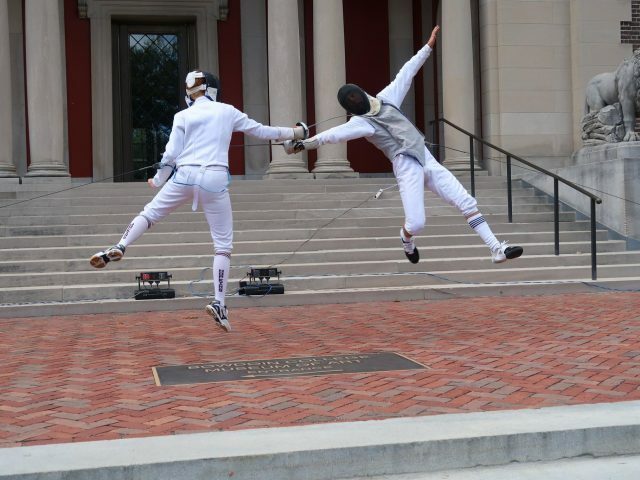 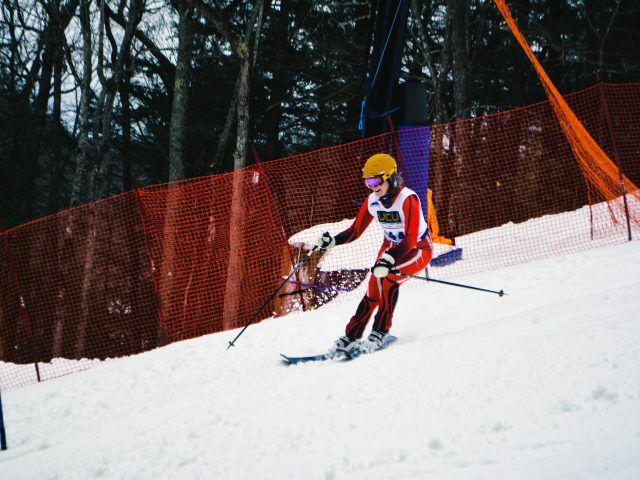 The men’s team is currently seeded eighth in the league and will face off against No. 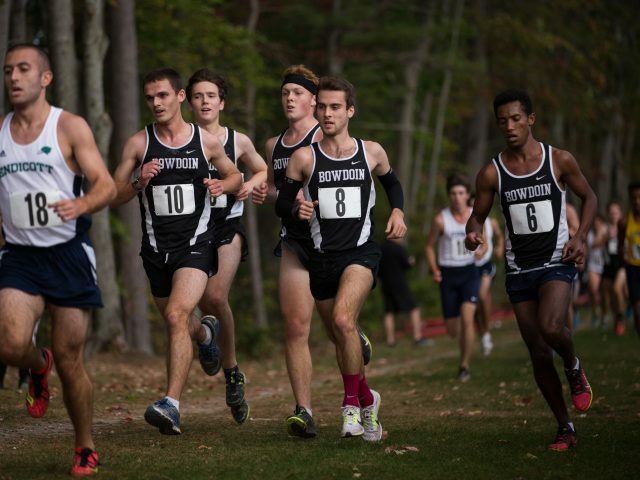 9 Tufts, while the women’s team is seeded 11th and will meet No. 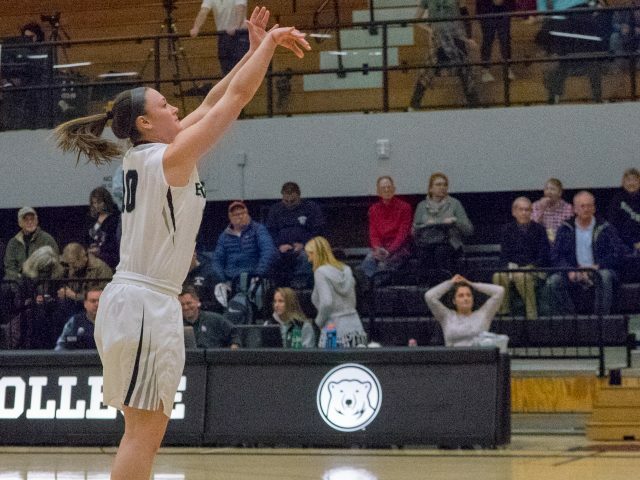 The time on the clock was 8:56 in the third quarter of the women’s basketball game against U-Maine Presque Isle and Lauren Petit ’18 just made her second three-pointer of the game. 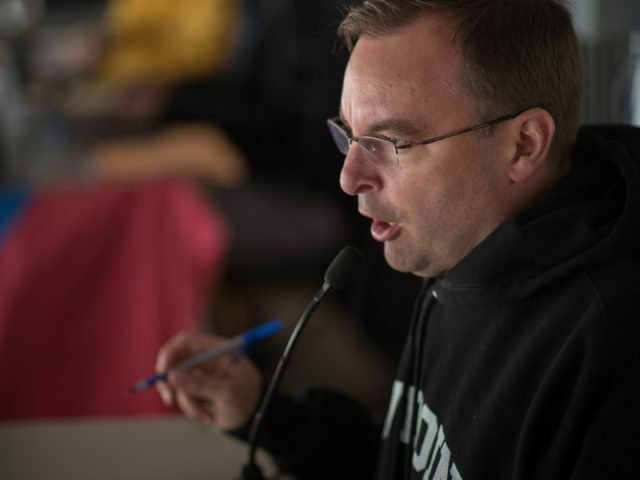 Over the cheers from the crowd and the yelling from the sidelines, Mike Salisbury’s voice boomed over the loudspeaker: “Lauren Petit … for three!” After serving as the public address announcer (PA) for men’s and women’s basketball since 2015 and for football since 2011, Salisbury knows exactly how to change his voice to reflect the excitement of a game without drawing attention to himself. 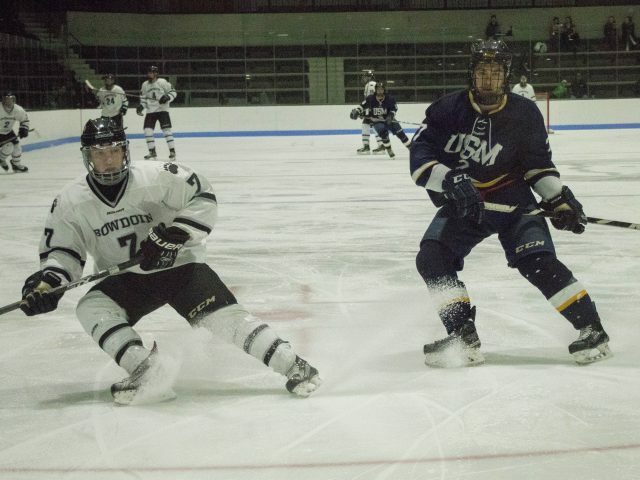 The men’s hockey team (3-5) will host a fundraiser for United Cerebral Palsy of Maine during its game against Connecticut College (2-3) at home tomorrow. 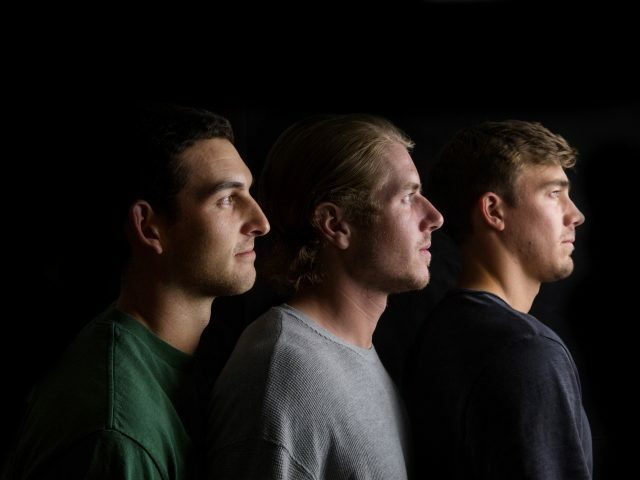 According to Camil Blanchet ’18 and Spencer Antunez ’18, who spearheaded the fundraiser, the idea to support a cerebral palsy charity came from Lucien Hodell, a child who has cerebral palsy. 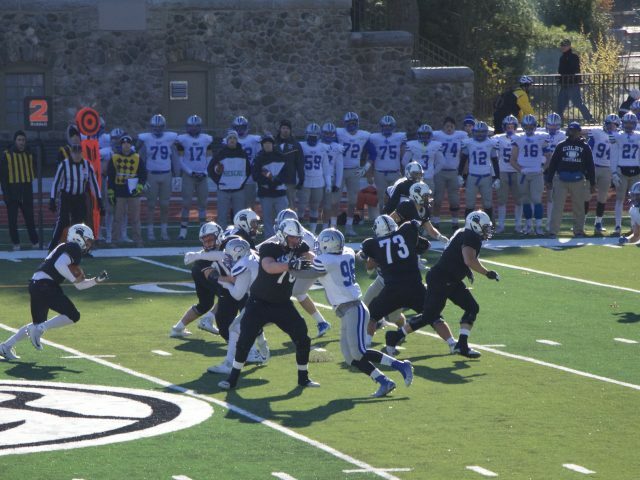 The Bowdoin football team (0-9) lost its final game of the season last Saturday against Colby (1-8) at home by a score of 31-20. 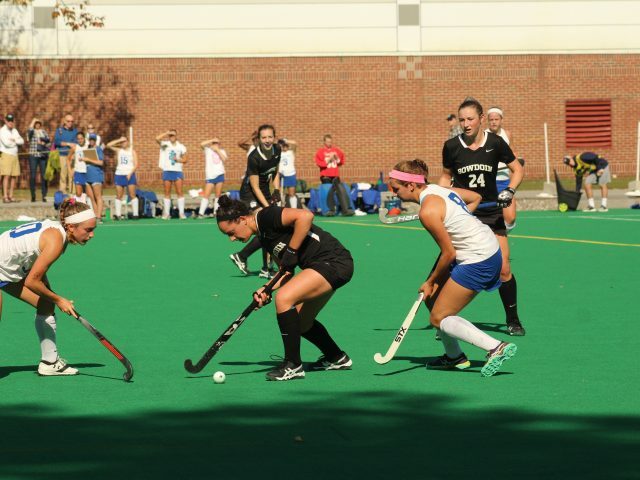 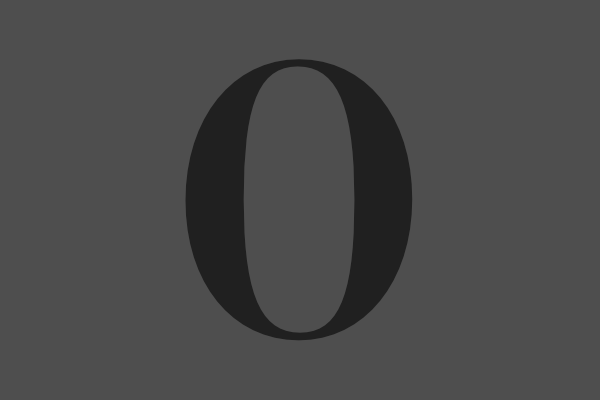 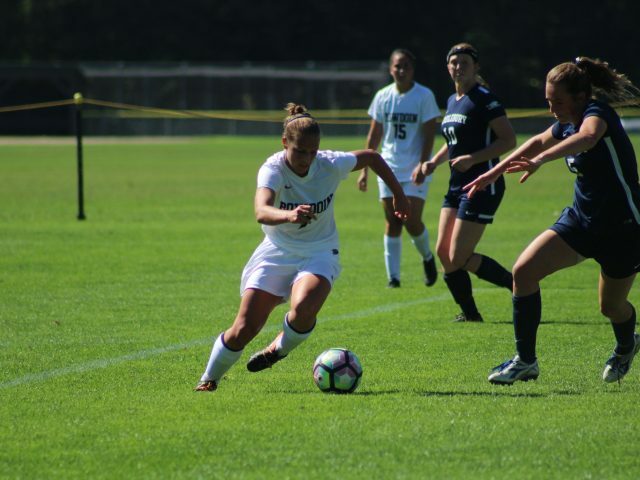 The loss marks the program’s first pair of consecutive winless seasons. 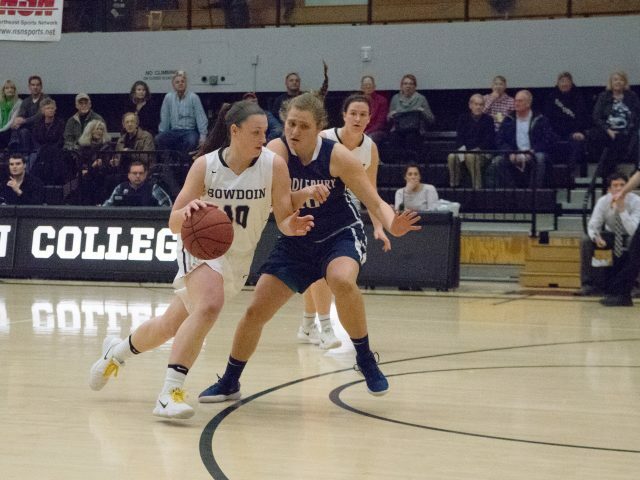 The Polar Bears led 17-10 at halftime and extended their lead to 20-10 partway through the third quarter, but Colby responded with 21 unanswered points. 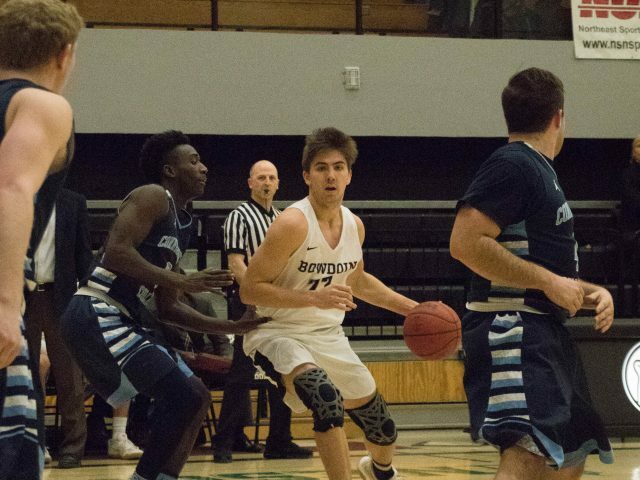 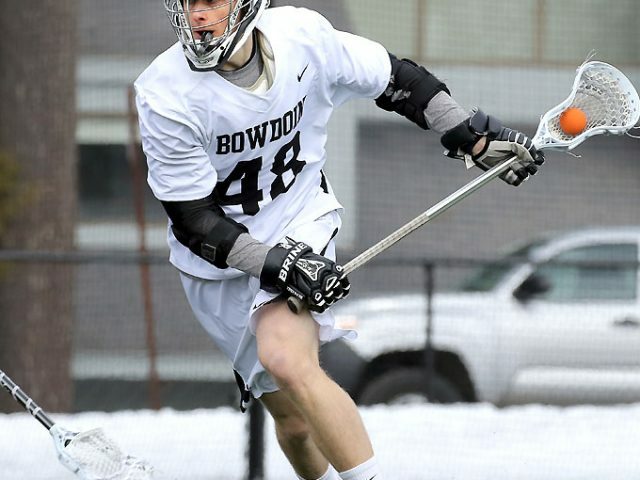 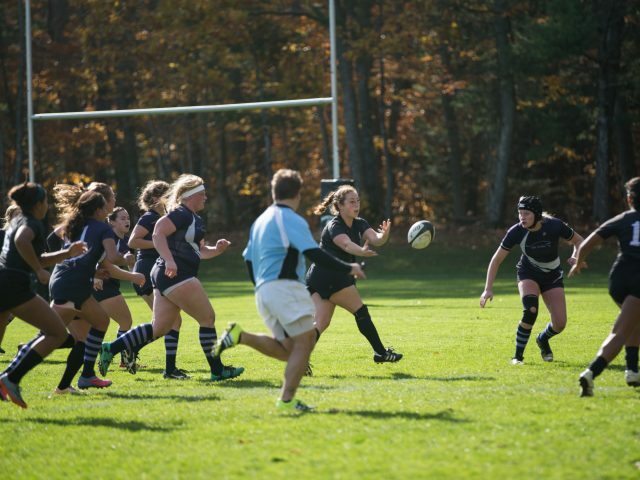 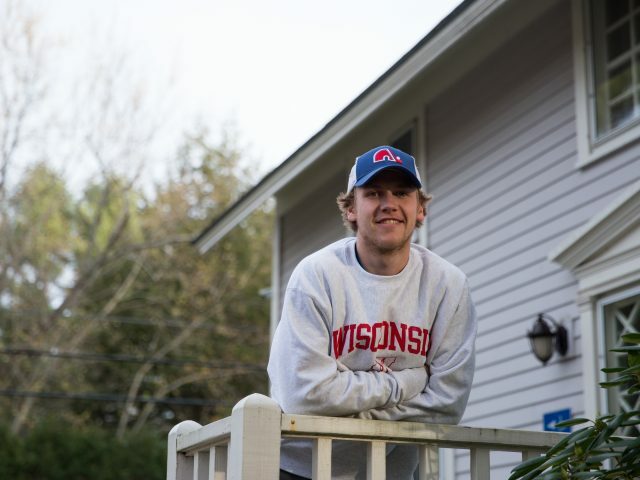 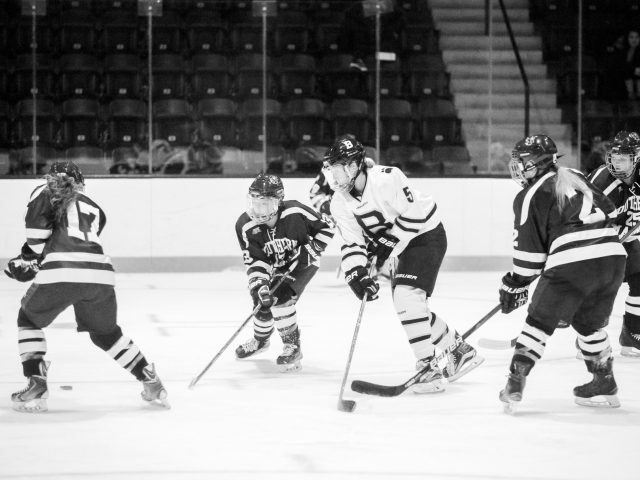 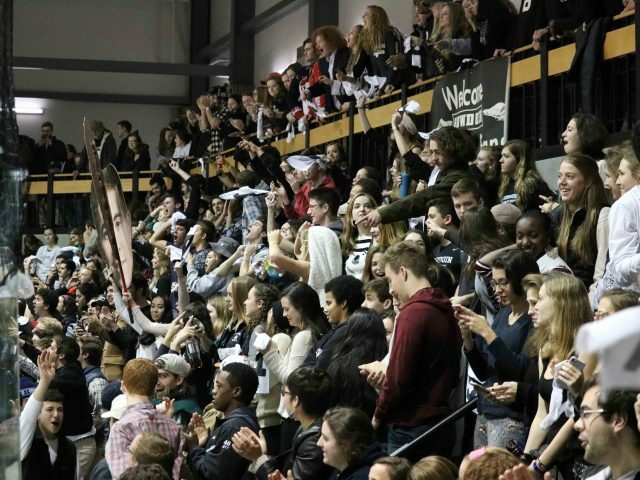 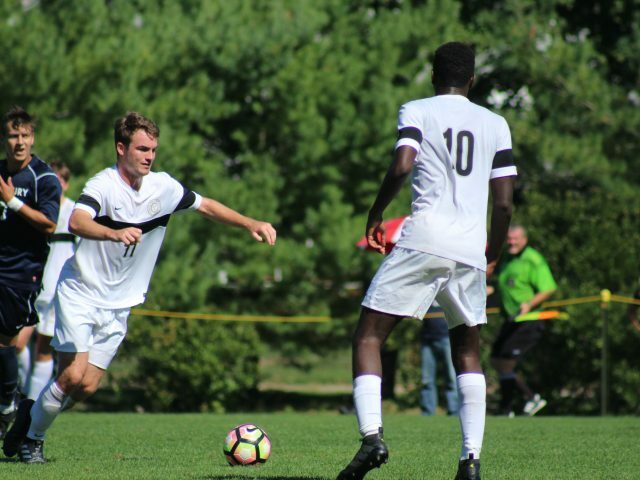 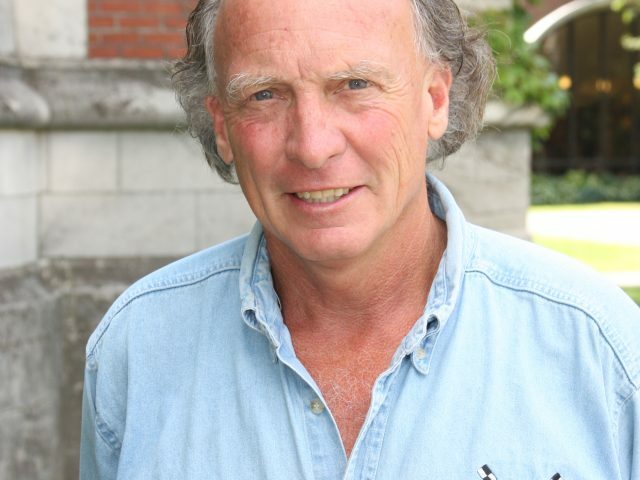 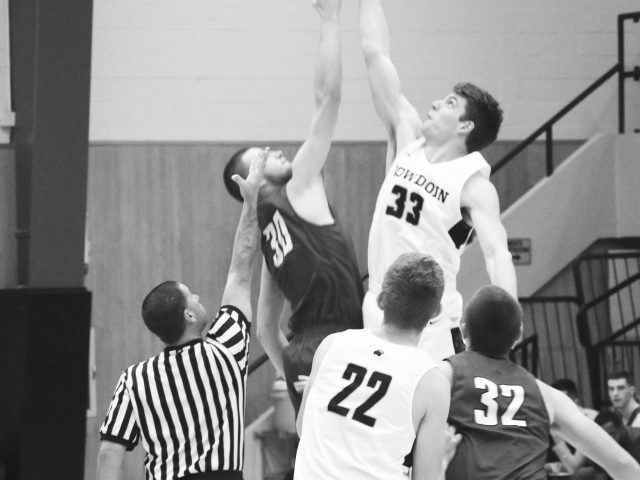 Male athletes make up the majority of the members in Bowdoin Men Against Sexual Violence (BMASV), a group that facilitates conversations surrounding issues of masculinity, sexual violence and consent. 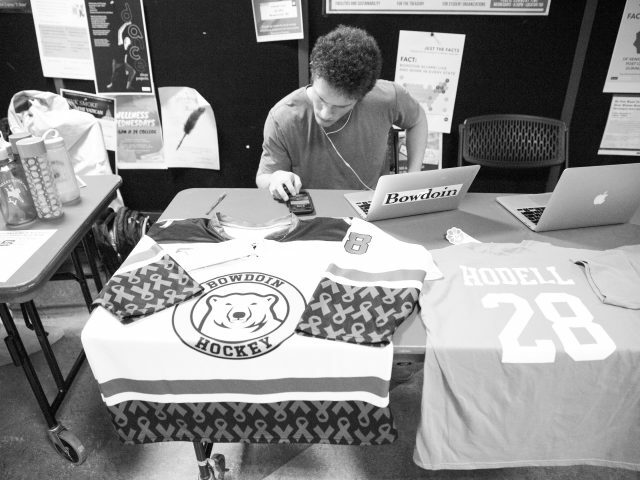 Since it’s founding in 2008, BMASV has focused on recruiting members from sports teams and has facilitated conversation within male teams on campus. 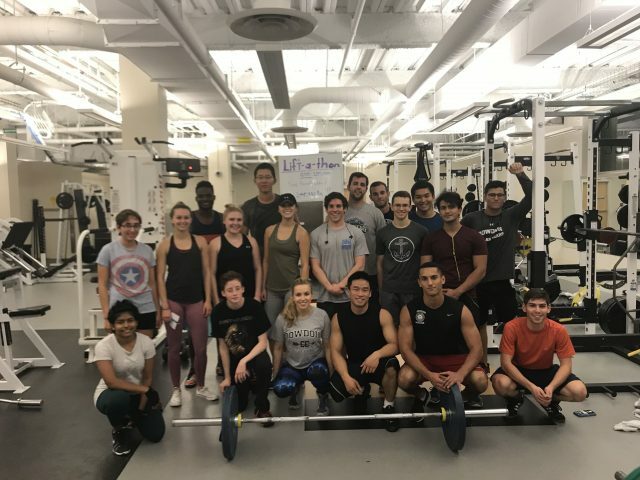 The Bowdoin Weightlifting Club held its second annual Lift-A-Thon on Sunday, an event that promotes the club’s philosophy of inclusivity and raises money for a cause of its choosing. 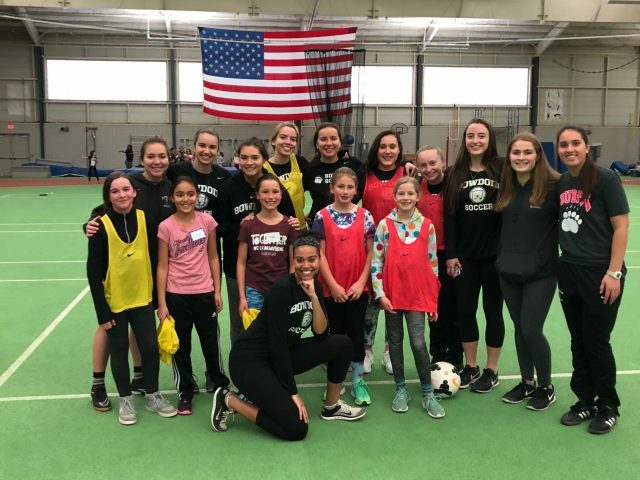 This year, the club donated to Unidos por Puerto Rico, a charity started by the First Lady of Puerto Rico to collect money for the victims of Hurricanes Irma and Maria. 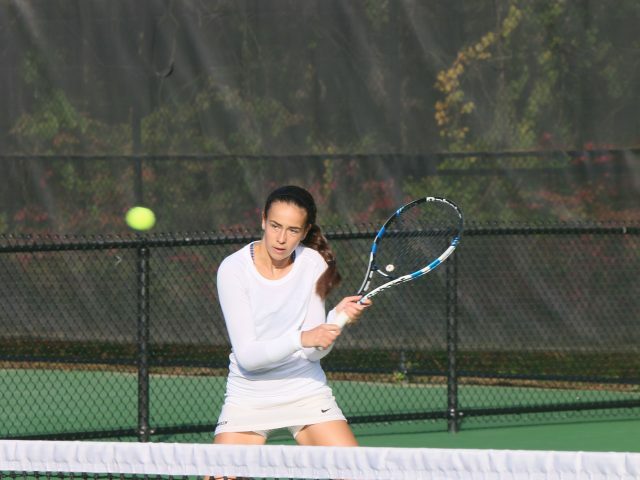 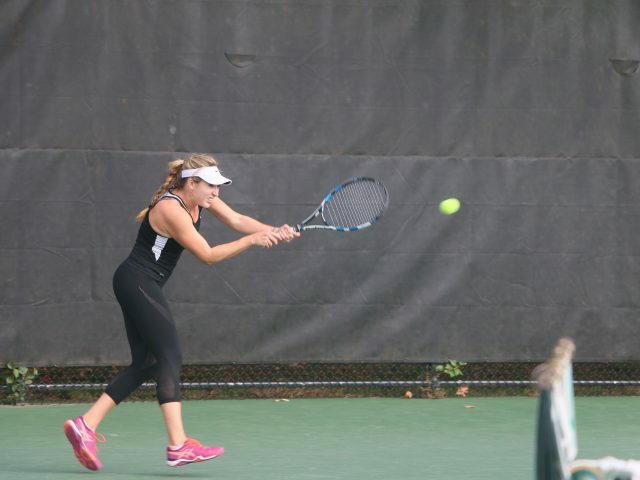 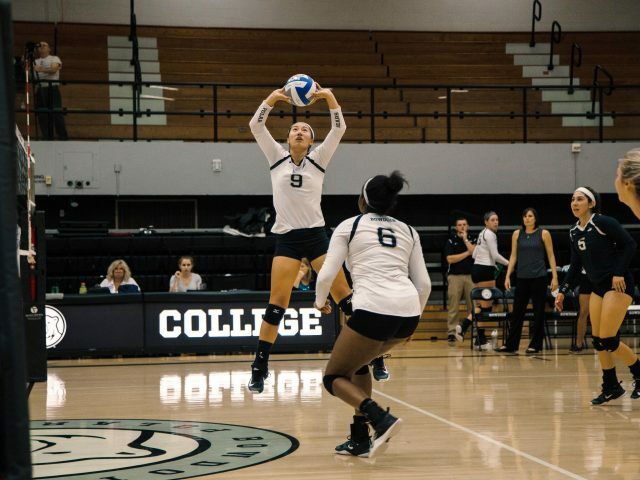 For Hannah Cooke ’18, a current member of the squash team, feeling supported and comfortable is essential in order to reach your fullest potential, especially when it comes to a team environment. 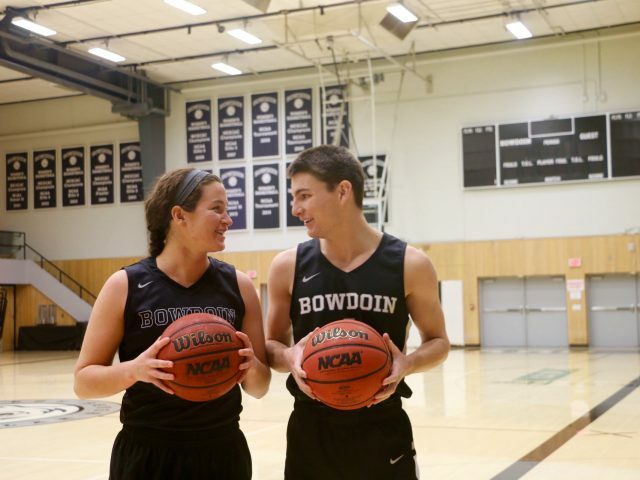 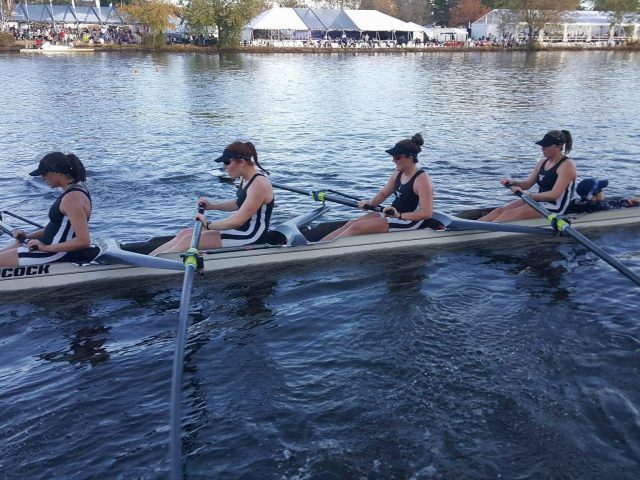 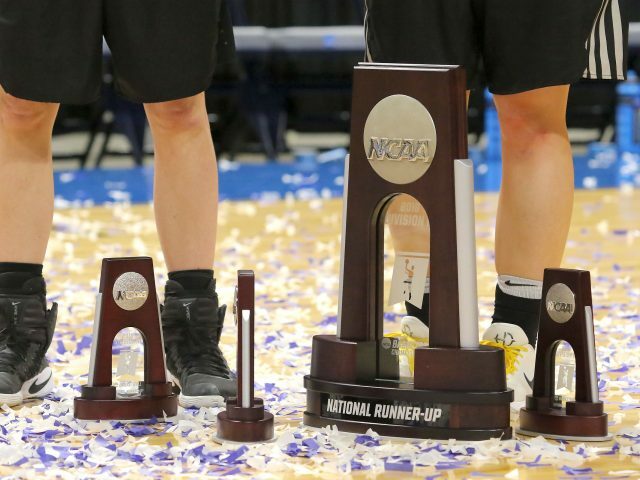 That is part of the reason why she created the Athletes of Color Coalition (ACC) last year: to create a space for people of color to talk about their experiences on Bowdoin’s sports teams.